Following revelations that “witches” plan to keep casting spells on President Donald Trump until he leaves office, Catholic exorcists are warning of the dangers of meddling in witchcraft and of the growing presence of evil in the world. The purpose of the “binding spell” is to prevent Trump from doing damage to himself or others. Organizers set up a Facebook page called Bind Trump to publicize the practice. The page reveals that only a few common household ingredients, including a tiny stub of orange candle, a pin or small nail, a bowl of water and an unflattering photo of Trump are required to partake in the ritual. However, Catholic exorcists are warning that witchcraft is the work of the devil and attempting to use it could have grave consequences. “The words in the spell: ‘That he may do no harm,’ sugarcoat the reality that the devil wants the destruction of mankind and never has our best interest at heart,” warns an article by Patti Smith in the National Catholic Register. Smith spoke to various exorcists who all warned of the power of spells and how it’s a symptom of the growing power of evil in the world. 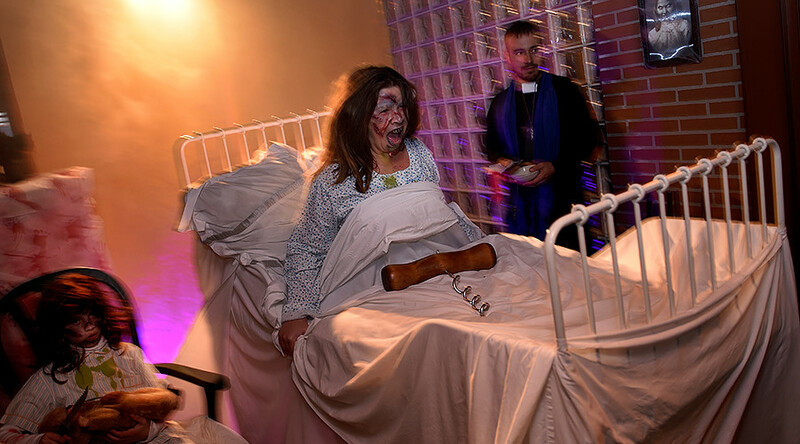 Father Vincent Lampert, who has been the designated exorcist for the archdiocese of Indianapolis since 2005, said the power of spells doesn’t come from God. “Anyone who would dare say they want to challenge that God is in charge is using the power of evil as their own. They should realize that we can’t use the devil; the devil uses us. People can’t control it and the devil ends up using them for his own purposes,” Father Lampert counseled before arguing that spells only have an effect in people who are spiritually weak. Another priest, who Smith gave the pseudonym Fr. Patrick, argued that the spell ritual is proof that evil is working against Trump, and so Trump must be on the side against evil. “Even if we question where he is as a man of faith, or prayer, or Christianity...Trump is a man who is indicating that he is choosing and knows the difference between right and wrong and is choosing right,” Fr. Patrick explained. “People should continue to pray, in the way they have been praying. He appears to be in there because of prayer,” the priest advised.